One of the best forms of relaxation is a sample of nature’s own medicine. Many cures, treatments and therapies for the world’s ills are based on natural remedies, but simply spending time enjoying natures beauty can have a great restorative effect. When in 1213 St Francis established his hermitage at La Verna in Tuscany it was for exactly this reason he chose the inhospitable but beautiful location as somewhere to relax and contemplate. In 1213 St Francis and St Leo were walking through the Montefeltro region when they met the Count of Chiusi, Orlando Catani. 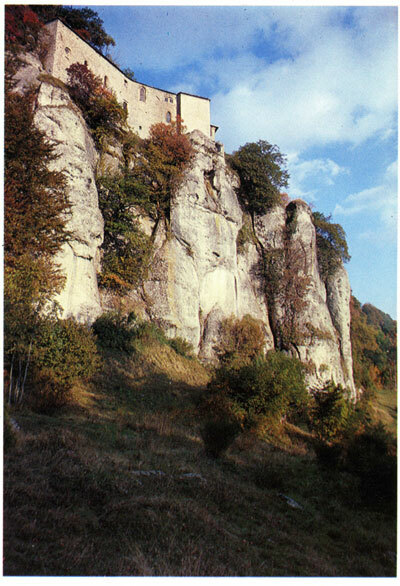 In exchange for praying for his salvation the count gave Mount La Verna to St Francis and his companions, to use as a place of peace and solitude. When St Francis first visited the mountain he was greeted by a great flock of birds that seemed to demonstrate the pleasure of his arrival. St Francis took this as a sign from God that here was where the order should establish one of their hermitages. 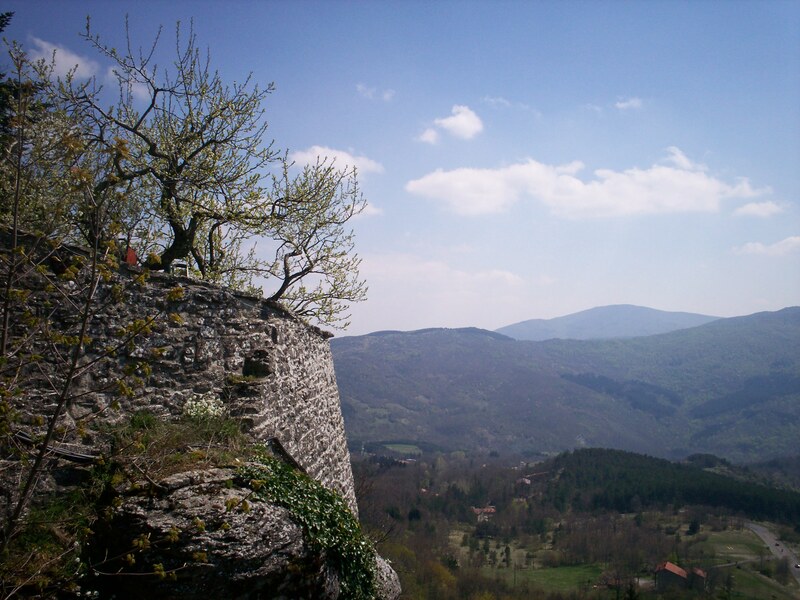 It was here on the 14th September 1224, his last visit to La Verna, that he received the stigmata of Christ. He died two years later on 4th October 1226. Not long after this, continued interest in the hermitage lead to the establishment of the monastery. It was such an admired destination that within 300 years the sprawling collection of buildings that are present today had taken shape. The monastery centres on a massive crevice in Monte Verna, said to have opened up at the exact moment Jesus died on the cross. And it is here you can see the cave where St Francis often slept, the over hanging rock, beneath which he meditated and the precipice where he fought with the devil. There is also a shrine on the site indicating where he received the stigmata. All of this not only makes La Verna one of the most holy locations in the Christian world but also a place of great serenity and calm (except of course during a Bank Holiday when the tourists flock in by the hundreds). One of the most breathtaking views is from the Quadrante, the clock face on the basilica’s bell tower and standing in the wide courtyard you can overlook the splendour of the Casentino Valley. The courtyard also features a huge but simple wooden cross that over looks the verdant panorama, the distant mountains and towns of Poppi and Bibbiena. The entire site is such a peaceful and tranquil location, where you can wander freely around a labyrinth of passageways and corridors looking into tiny chapels, oratories and shrines. There are surprises at every turn as you explore the monastery and everywhere you look you can see the luscious green canopy. The Chapel of Relics in the basilica contains an interesting collection of items that belonged to St Francis, including his weather worn, coarse woollen habit, a wooden bowl and a blood soaked bandage used to cover his wounds. There are some sixteen tiny chapels and places of worship throughout the site, each with paintings, sculptures and frescoes depicting the lives of the saints. Once you have discovered every nook and cranny in La Verna you can work up an appetite with a vigorous walk around the trails and paths that cover the mountainside, they are excellently marked and once again lead to a hundred wondrous views. 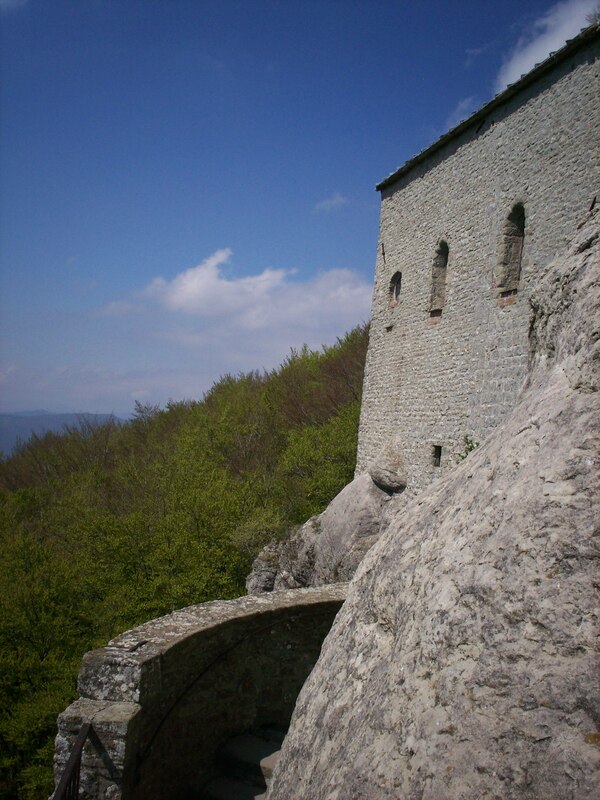 The Rock of Brother Lupo, The Chapel of La Penna and the Chapel of Blessed John are an integral part of the National Park of Monte Falterona, of which La Verna is its magnificent centrepiece. 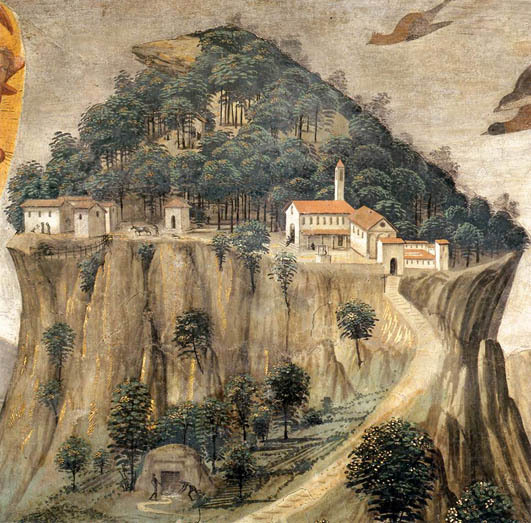 La Verna is a fabulous attraction and one that is testament to St Francis’s love of nature. 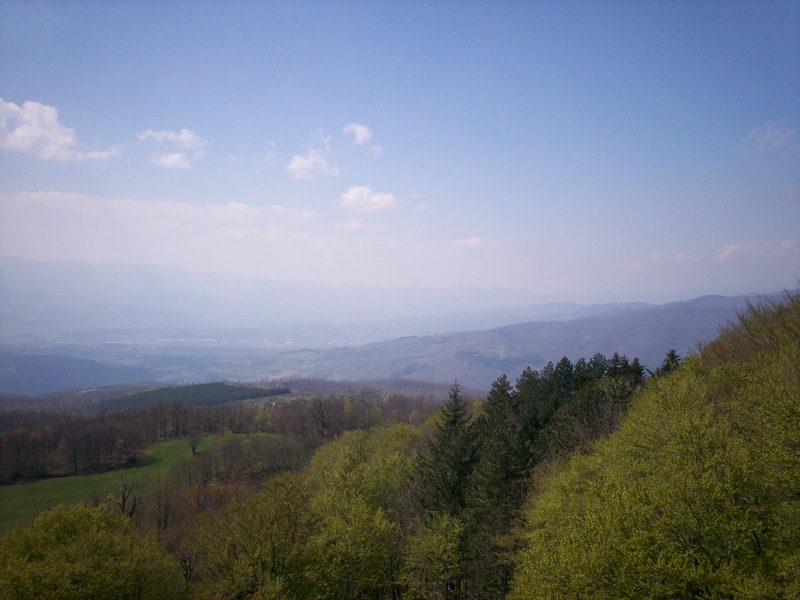 From its lofty heights you can look down on the surrounding Tuscan woodlands and valleys and appreciate the wonderful simplicity and spectacular beauty of it all. This entry was posted in tours, Travel and tagged day trip, Italy, Monastery, Religious, St Francis, tour, Tuscany. Bookmark the permalink.